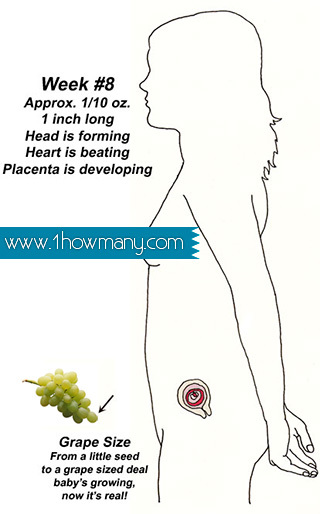 Nov 17, 2012 Every expecting woman must know how many weeks she is pregnant. But dating a pregnancy very often causes confusion. First of all, it is necessary to understand that there are two different ways of dating. Some doctors date pregnancy from the first day of the woman’s last menstrual period, others start counting from the day of conception (ovulation1). The first system has been used for many years. Formerly nobody understood what ovulation is, when it starts, and what it is required for. Doctors just knew that pregnancy lasts about forty weeks if counted from the first day of the menstrual period. In fact, this approach implies that conception occurs only after two weeks of pregnancy, which is ridiculous, of course. So this method is no more than a holdover of the medical past, though it is still used by most doctors in the United States for determining how many weeks pregnant their patients are. The new system of pregnancy dating starts counting with the day of ovulation, which usually coincides with the day of conception. By this method, pregnancy lasts for 38 weeks (266 days). The due date in both systems is the same, and the difference between them lies in the way of calculating how long a woman has been pregnant. The following table will help you to understand it. Now you understand why it is important to know what system your doctor use to calculate how many weeks you are pregnant. The first trimester takes first twelve weeks. The second trimester is from the 13th to the 25th week. The third trimester is from the 26th to 40th week (if the baby is not born earlier). During the first trimester the female body has to stand multiple hormonal changes, which can be very difficult. The common symptoms of this period are mood swing, nausea, change in taste, vomiting tendency, tiredness, dizziness, etc. In the first trimester women start to gain weight very actively. The second trimester is the most pleasant period for a pregnant woman. The nausea, tastelessness and many other symptoms disappear. The fetal movement increases, and this makes the mother happy. The third trimester may be a nervous period, because the woman starts thinking about future labor pain. What is more, the baby grows and it is more and more difficult to carry it. The frequent symptoms of the third stage of pregnancy are indigestion, constipation, heartburn, etc. On every stage of pregnancy a woman should consult her doctor regularly and follow her medical advices. Ovulation – the process in a woman’s menstrual cycle during which a mature Graafian follicle raptures and sets off an ovum. Trimester – a period of three months, which is commonly used to divide pregnancy into sections.